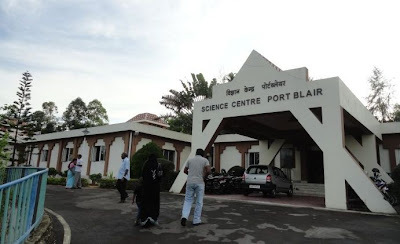 The Science Centre, located at Goodwill Estate, Corbyn’s Cove Road, Port Blair, Andaman & Nicobar Islands, is organizing “Holiday Camp” for the benefit of students from 1st May to 30th May 2013. Students can have practical experience on trades like Ship Building from May 02 to 06, Fun Mathematics / Fiber Glass Modeling from May 07 to 10, Aero modeling from May 13 to 16, Model Rocketry from May 17 to 23, Creative Science /Science versus Miracles from May 24 to 28, 2013. The camp has ear marked five days for each subject during which the subject will be dealt in details with hands on experiments. Classes shall be conducted from 10.00 a.m. to 12.30 p.m.
Prof Narendra Nayak, former Professor of Medical Biochemistry, Kasturba Medical College, Managalore, Karnataka, and President, Federation of Indian Rationalist Associations, will be giving training on the subject Science versus Miracles from May 24 to 28, 2013.